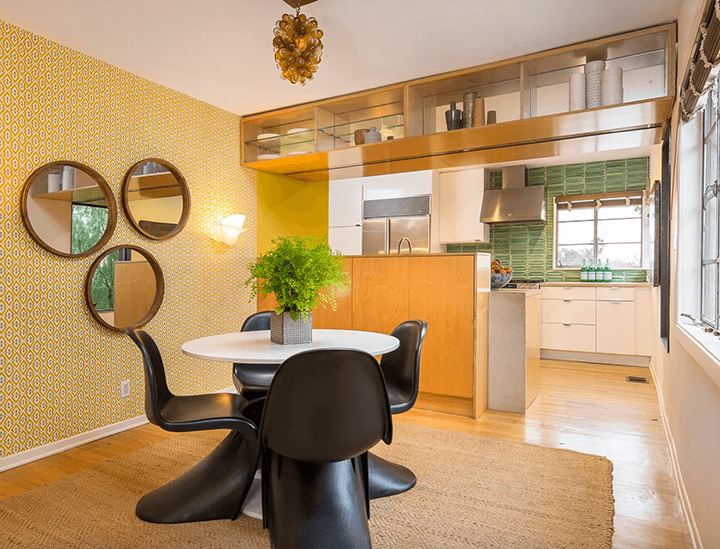 Retaining its simple lines, original steel casement windows and hardwood floors, Ferrier Architecture Studio—the architecture and design firm tasked with remodeling 3927 Melbourne Ave—completely overhauled the kitchen, laundry facility, guest and master bathroom. 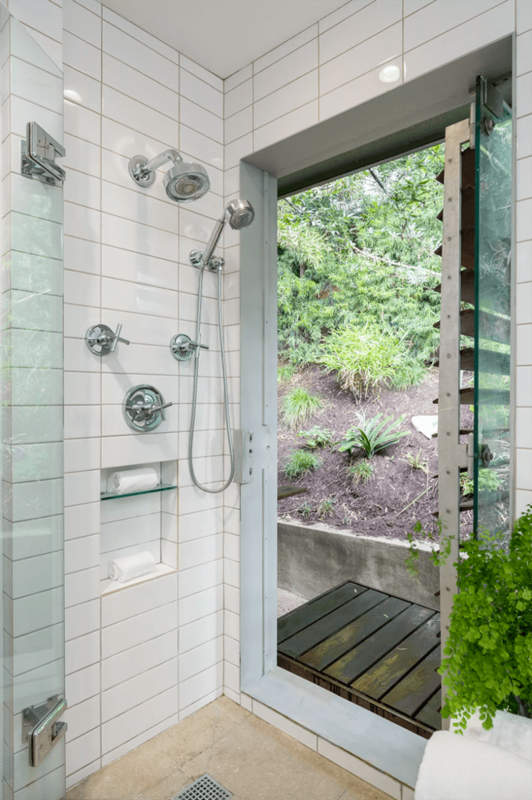 The two-bedroom, two-bathroom home measuring 1,472 square feet now has a unique master bathroom with an original engineered indoor-outdoor shower that opens to the backyard. The residence last sold in 2010 for $790,000. 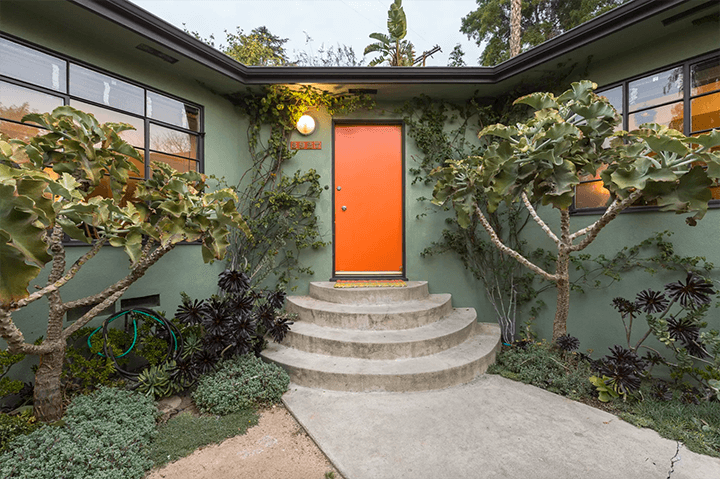 It’s now listed for $1.45 million. 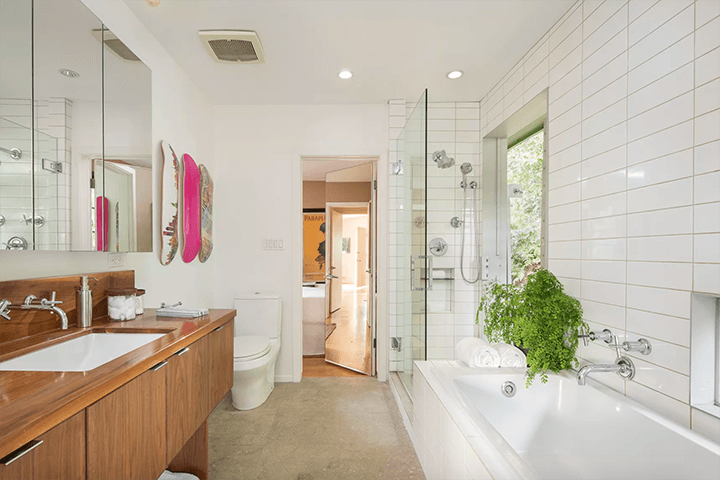 Interested in seeing this renovated mid-century home in the Franklin Hills? 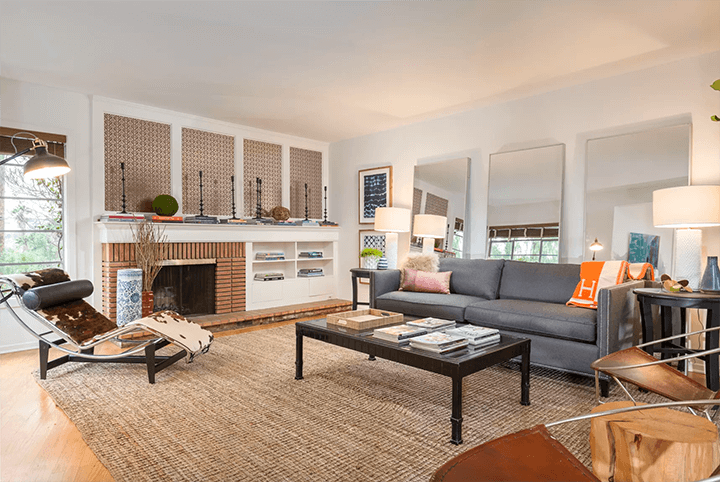 Get in touch by email or call (323)829-4440 to schedule a showing.